Microsoft has been somewhat cagey over recent months about Windows Ultimate Extras . They're the extra little bits of functionality only available to users of the Ultimate version of Windows Vista and include the Windows DreamScene desktop video backgrounds. Now Microsoft has decided to come a little cleaner and explain exactly what the corporation's plans are for Ultimate Extras. "When we launched Windows Vista in January 2007, we identified Windows Ultimate Extras as a unique series of add-ons that would be available to Windows Vista Ultimate customers," explains Microsoft's Barry Goffe. Goffe has a pretty impressive-sounding job title - he's the director of Windows Vista Ultimate. "We want to let our Windows Vista Ultimate customers know that we are actively working to deliver the remaining Extras that we identified in January," he explained. "Our goal is to provide the highest-quality, most secure and reliable offerings, and as a result we are continuing our work on these offerings. We apologise for taking so long to provide a status update to customers." So far, Microsoft has released minimal amounts of Ultimate Extras - Windows Hold'Em, 16 Language Packs for the Windows multi-language user interface, Secure Online Key Backup and the Windows BitLocker Drive Preparation Tool. 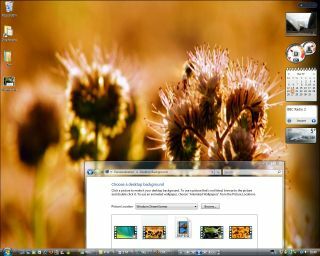 Selected DreamScene backgrounds have already been made available to users. "We intend to ship Windows DreamScene and the remaining 20 Language Packs by the end of the summer. We will not ship the last two Extras showcased in January until they meet the high quality bar required by our enthusiastic customers - and we believe that we can achieve that bar by the end of this summer."